The beautiful and lavish centrally located Olympus City Garden is continuing to its success of construction completion on time. We are proud to update all our avid readers of the accomplishments at Olympus for this month. Like our design and build quality our construction department focused on attention to detail, we sustain to follow the plan- built on time finish on time. Global Top Group building construction management team strive to stand out from the crowd by building stronger foundations and principles which are now accepted as part of our every day practice. We intend to sustain the devotion of finishing Olympus City Garden to perfection. Western lifestyle with high quality design, amenities right at your door step. Cabinets, doors and shower glass fittings are in great progress. The structure and exterior of the buildings are on point- soon to finish. 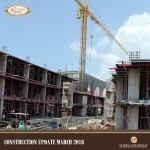 We are now in more than the halfway point / quarter of the year 2018 and we are thrilled to announce the current updates of the building. Olympus City Garden big transformation was exceptional due to its rapid development in a span of 2 months. We still have few units available in this amazing project. If you’re interested to own and invest in the holiday home, contact us today for the best offer. City Garden Olympus - Low Rise amazingly and uniquely designed condominium with all the convenience of City lifestyle has to offer. 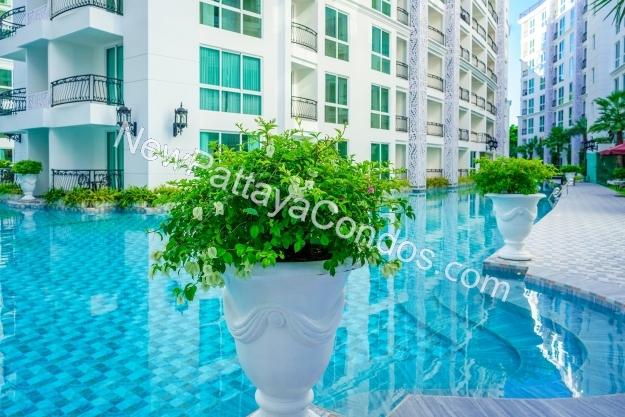 From the number 1 and most famous developer in #Pattaya. Central Location. Special Units with 7% Rental Guarantee. Free Luxury Furniture and Electrical Appliances Package. Very High Return on Investment. 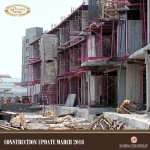 Construction Update for Olympus City Garden On April, 26 2018 . Going up very quickly and Selling quickly as well. Great investment opportunities still available.